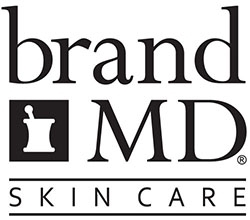 The brandMD® approach to private label skin care is simple, yet savvy. We provide on-trend, on-target solutions for branding and customizing exclusive physician dispensed skin care products to medical professionals by offering the option of: dispensing brandMD products with a customized physician’s logo and label or dispensing the products using the existing brandMD label. With either option, brandMD helps you add private label skin care – for your business and patients needs. brandMD produces advanced medical grade formulas that combine patented complexes and botanical blends, while avoiding parabens, synthetic fragrances and alcohols for results-based private label options. brandMD private label services provides medical professionals and physicians access to our first-rate product lines and the opportunity to build their name, identity and brand as a physician and medical practice entity.